Pit Bull Puppies for Sale or How Much is that Puppy in the Window? Okay, you’re looking to bring a cute Pit Bull puppy into your home and make them a welcomed part of your family. Before you spend your money there are a few things you might want to be aware of. First, are you considering a Pit Bull for the right reasons? Read the article, So, you want a Pit Bull? 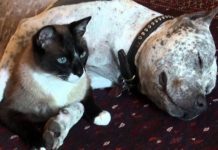 to see if an American Pit Bull Terrier is the right breed for you or not. A friend of mine emailed me the other day about her trip to her local pound. I could almost hear her crying as she described a litter of Pit Bull pups that was to be put down because the shelter has a 100% kill policyregarding Pit Bulls. In short, if a Pit Bull enters the shelter, regardless of age, temperament, or situation, it does not leave the shelter breathing. Before you help people, who, like the breeder who left that poor litter at the shelter, make money, think about who you are supporting. Pit Bull rescue organizations have just as many purebred American Pit Bull Terrier puppies as any breeder in the country. Why not help these poor pups find loving homes. It’s less expensive and you are getting the exact same quality of dog in almost all cases. Learn more about Pit Bull Rescues here. Despite what many people think, your decision to purchase a puppy has an impact on all of us who own American Pit Bull Terriers and bullies of any breed. For each new puppy sold to someone like you, there are 10 that are dumped or sold to people who have no moral character and abuse them. I am by no means against purchasing a puppy from a breeder who breeds for the right reasons but I will ask that you take this decision seriously and put some research and thought into it. Help us make a difference and get your Pit Bull puppy from a responsible rescue organization. Not only are you getting a great dog, you are saving a life that would otherwise be lost.